Whether you’re drawn by the Himalayan views, crave the adventure of white water rafting, are studying yoga or are simply intrigued by the aura of spirituality, it’s about time you discovered Rishikesh. Located in wild and beautiful Uttarakhand, this small city has ancient heritage, but first gained international fame in the late 1960s, thanks to a timely visit by the Beatles. Nowadays, this beautiful city appeals to all kinds of travelers – and our beginner’s Rishikesh guide will help you make the most of your explorations. 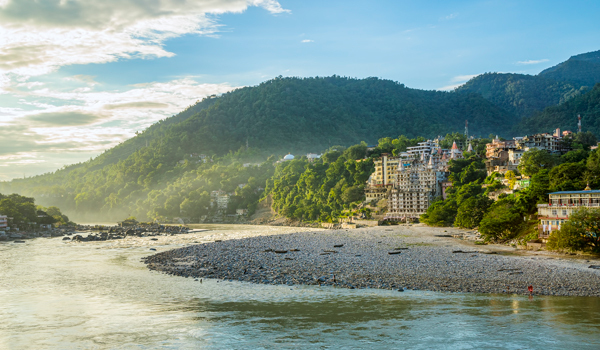 It’s no accident that Rishikesh is also known as the ‘Yoga Capital of the World’ – it’s home to dozens of prominent ashrams, where yoga classes – and the pursuit of enlightenment – are taken seriously. Parmarth Niketan, one of the largest ashrams in the country, is an excellent place to start. 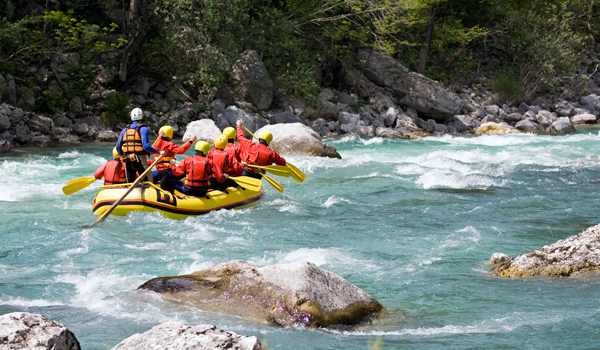 Though Rishikesh is renowned as a spiritual center, it’s also well suited to adventurers and adrenaline junkies. Some of the city’s biggest thrills come from its white water rafting excursions, which are held along a choppy and fast-moving portion of the Ganges River (though less experienced rafters will also have the chance to paddle along calmer stretches). Rishikesh has the advantage of being positioned at the gateway to the Himalayas: prime trekking territory, in other words. While many embark from the city on multi-day Himalayan trips, shorter journeys are also on offer; a trek to the nearby Kunjapuri Temple is one popular option. The Ganges is more than just a river: in India, this sacred waterway is considered to be a goddess. 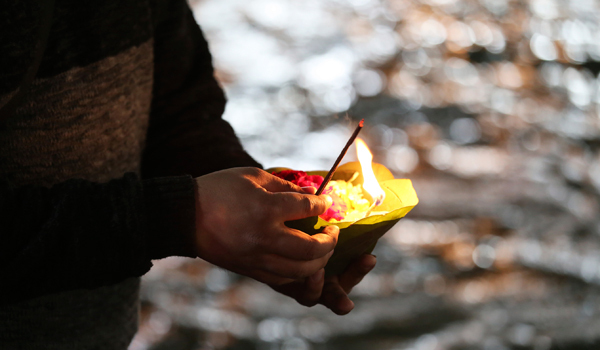 Join devotees for the special Ganga Aarti ceremony in Rishikesh. Held every evening, the ritual consists of devotional songs, prayers, and fire offerings. No Rishikesh guide would be complete without the Maharishi Mahesh Yogi Ashram. It’s what put this city on the international map: in 1968, the Beatles paid a visit to learn the ins and outs of transcendental meditation. Once a spiritual pilgrimage point, the abandoned ashram is now frequented by fans of the Fab Four. 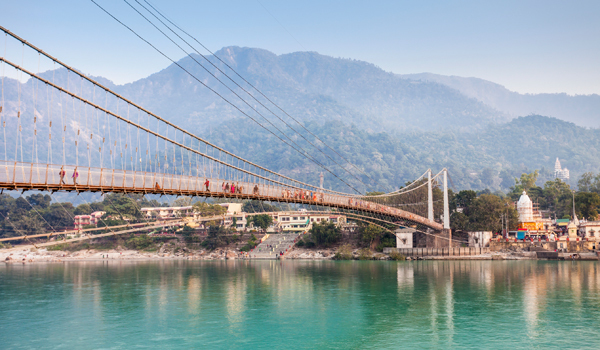 One of the most scenic ways to take in Rishikesh’s sights is by bridge. Cross the Ganges on the Ram Jhula or the Lakshman Jhula – historic, pedestrianised iron suspension bridges – and reward yourself with a trip to a teahouse once you’ve reached the other side. Just a word of warning: the bridges tend to sway on windy days. If white water rafting is a touch too extreme for your tastes, you can still chart your way down the Ganges on a riverboat tour. Shorter day-cruises are offered by local tour operators, as are multi-day journeys along the river. 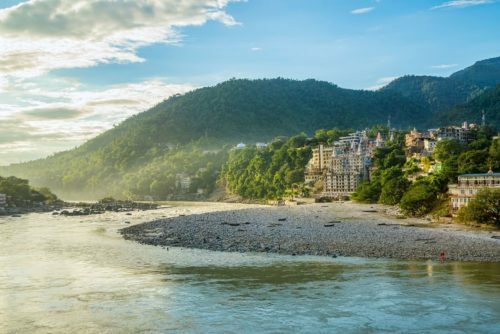 It may sound unlikely – Rishikesh is very, very far from the sea – but along the Ganges, visitors will find some of the most beautiful white sand beaches in all of India. Camping is popular among travelers who don’t mind roughing it, but a picnic is a perfectly lovely way to experience these shores. The Ganges originates in the Gangotri Glacier, a rugged segment of the Himalayas in the very north of Uttarakhand. Those after an adventure of epic scope can embark from Rishikesh on a multi-day trek to the river’s source, through some of the most beautiful terrain on Earth. After all the trekking and sightseeing, the rafting and exploring, the best way to wind down our Rishikesh guide? A soothing dip in to the world of Ayurveda, we say. Treat yourself to a stay at Ananda in the Himalayas, where Ayurvedic treatments, beautiful nature, meditation sessions, and other soothing offerings are on tap.